In Trat, guesthouses and hotels are concentrated in and around Thana Charoen Road. The city has only a few accommodation options but its enough to host those who want to sleep in Trat. Most visitors are just in transit to Koh Chang and its neighboring islands or to Cambodia and rarely spend the night in Trat. People often ask me what accommodations I recommaend in Thailand, here are my recommandations in Trat. Trat has a tropical monsoon climate with little variation in temperature throughout the year. Precipitation, on the other hand, varies considerably from season to season. Initially infrequent during the short dry season (December to January), they become rapidly torrential during the monsoon (from May to the end of October). February, March and November are months of transition during which, depending on the year, it can rain more or less. The best time to come to Trat is from December to March, with the driest months being December, January and February. From May to the end of October, it is better to choose another destination. Precipitations flirt with the 500 mm from June to September. When to go to Trat ? There are no train station in Trat. The best way to come is by bus or minivan from Bangkok (online booking). Whether you decide to leave then to Cambodia or to Koh Chang, you can book your trip directly at your guesthouse (or at the Pop Guesthouse on Thanon Charoen Thana).If you do not stay in Trat and go directly to Koh Chang, no need to think, shared taxi drivers will take care of you and drive you to Laem Ngop to take the ferry. 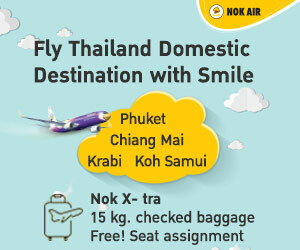 How to ask in Thai to go to Trat ? I want to go to Trat / Yak paï ti Tlat. Where is Trat ? / Tlat you ti naï ?